Hello and Welcome!! My name is Donna and I am a craft-a-holic. I love all things crafty, but in the more recent years, I have discovered I love to make cards!! I have always had a love for paper (who doesn’t??) and we always have a need for cards in my house. So naturally, card making seemed to be a good fit and that is how CardsByDeCaro was started!! I have twin daughters who spend a lot of time crafting with me as well. 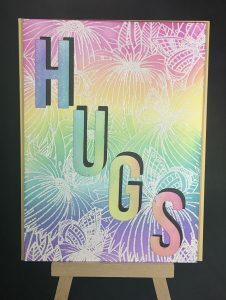 We make cards for any occasion and it has become a real passion for us. We like to share on Instagram, Pinterest and FaceBook if you want to see more of our work. Happy Crafting!